Each month A Muse Studio offers a special selection of products, the monthly collections are small, curated collections that typically include 3-4 stamp sets, some dies, custom paper packs and other accessories. For the month of November it’s all about Winter and Christmas with sweaters, woodland animals, deer silhouettes and more. For my first project I used the Forest Friends stamp set which I think is my all time favorite A Muse stamp set ever! It’s totally adorable! I stained the edges of a shallow wooden shadow box and cut some Petite Polka Dot paper to fit the back and then die cut long hills using the Landscape dies (found in the regular catalog). I then stamped and colored many of the animals from the set, die cutting them out with the coordinating dies. I added them with foam tape to the box along with a sentiment from the stamp set. I think this turned out so cute! Next I used some of the stamps and coordinating dies from the Ugly and Bright set along with several different A Muse pattern cardstocks. 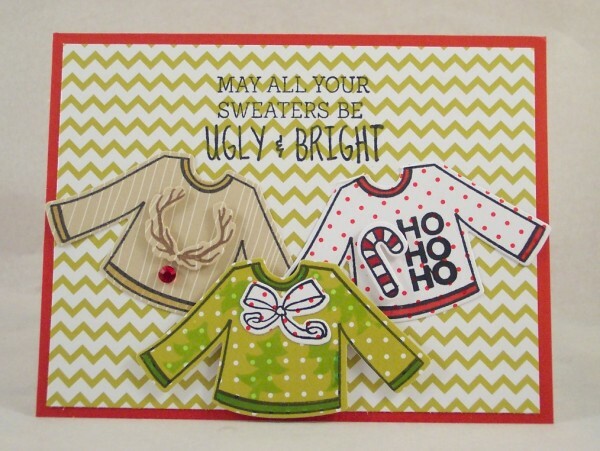 This set has many fun ideas for the ugly Christmas sweater trend! This next project could be used as a gift tag or tree ornament. 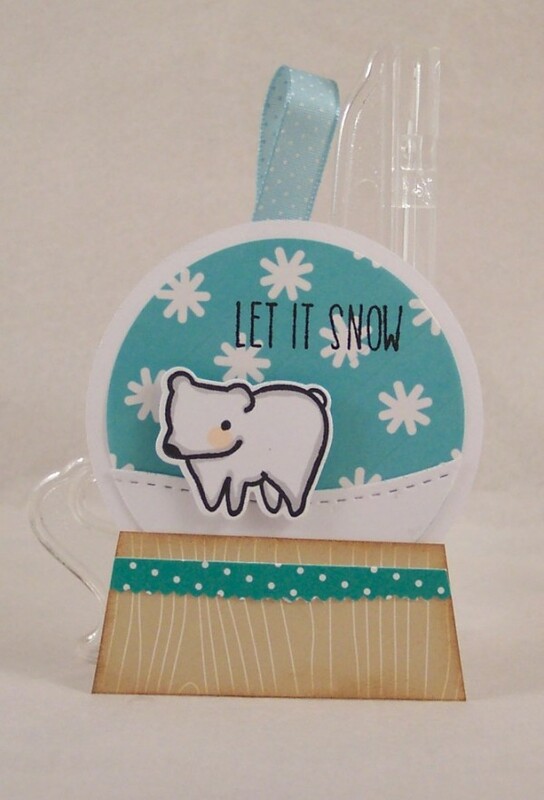 I again used the Forest Friends stamp set and dies with the Landscape Dies to make a fun snowglobe with the little polar bear. 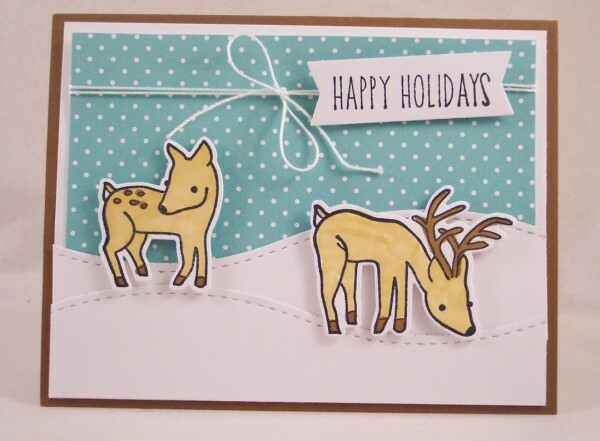 Lastly I made a sweet winter scene using the deer stamps and a sentiment from the Forest Friends stamps and dies. This would be a great card to give to a couple. All my projects used A Muse Studio stamps, dies, pattern papers and cardstocks. Click here to view the entire November collection and contact your local A Muse Studio consultant to place an order but hurry, they are only available for a limited time! 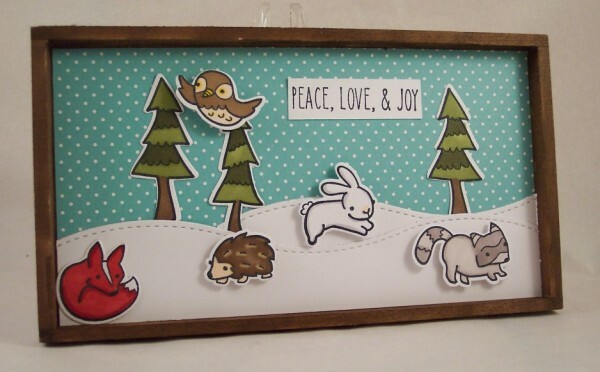 Love the winter scene you created as well as the card above with the Ugly Sweater Collection! Great inspiration!! !